Strategic Reliability Solutions Ltd is dedicated to helping young engineers achieve their dreams! 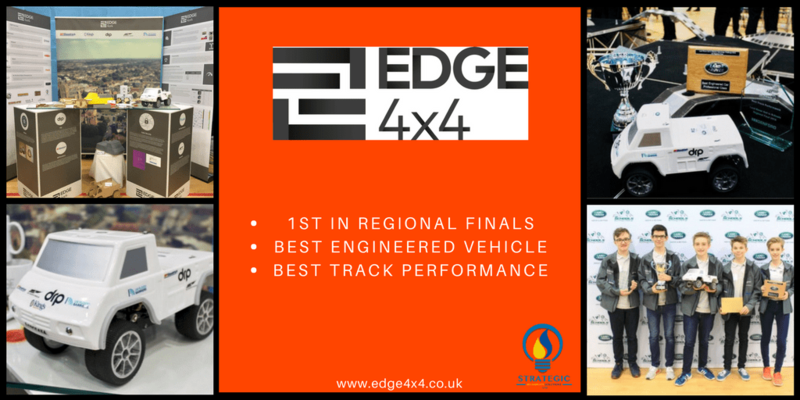 Team Edge 4×4 is a group of Year 9 engineering students with a passion for Design & Technology at King’s School Worcester. 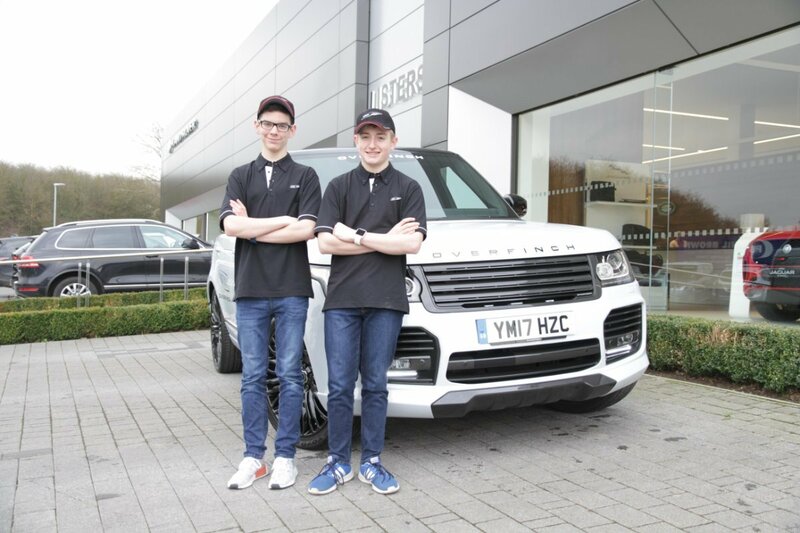 They are participating in Jaguar Land Rover’s 4×4 Challenge in schools. 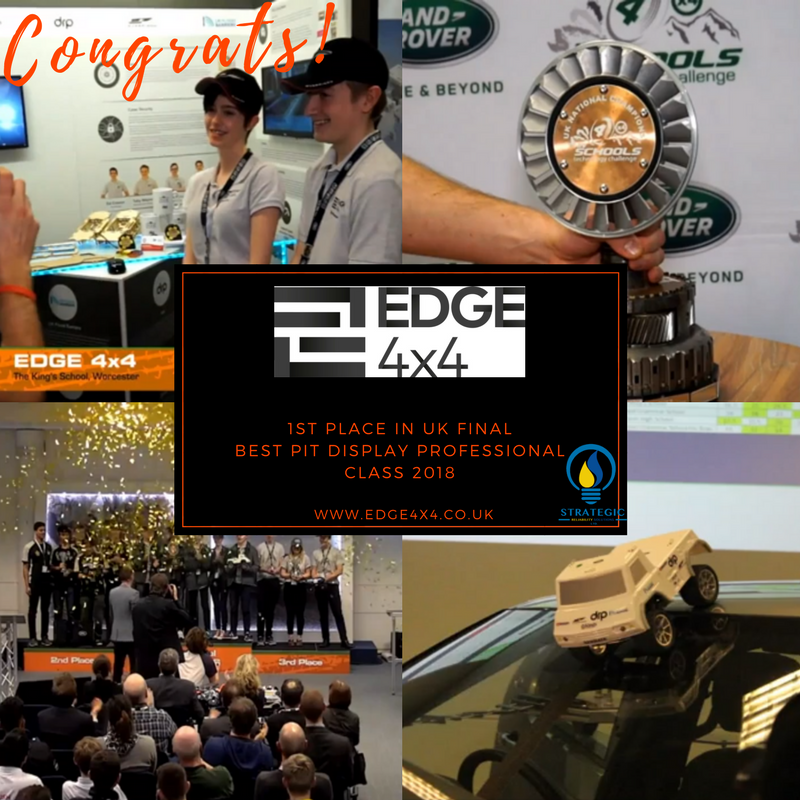 The aim of this challenge is to design and build a 4×4 vehicle able to pass several specific criteria and succeed in a testing off-road course. 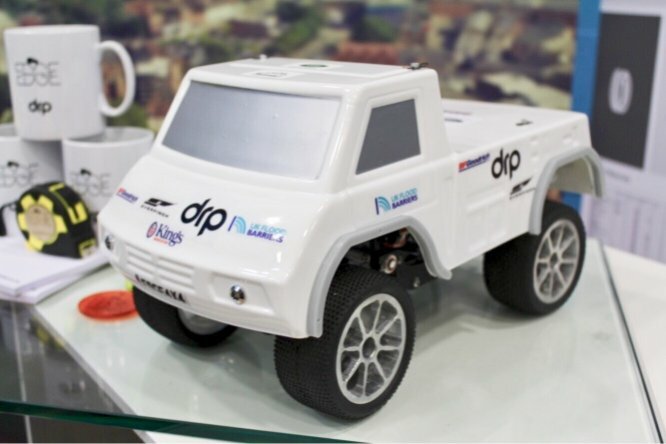 To do this the team has to create a vacuum formed body mold out of plastic, which is designed using CAD software then produce the vehicle using wood. Finally, in order to complete the design, they have to create certain electronic circuits to enable the car’s systems: automatic lights and tilt sensor to work successfully. Best Pit Display in Professional Class 2018! 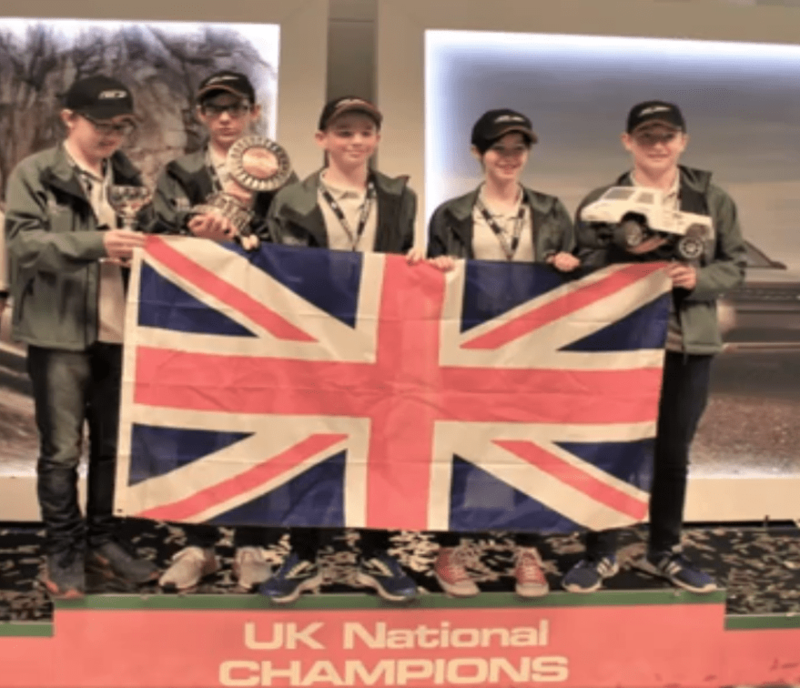 Now, they will be representing the UK in the World Finals to be held at the end of this year! 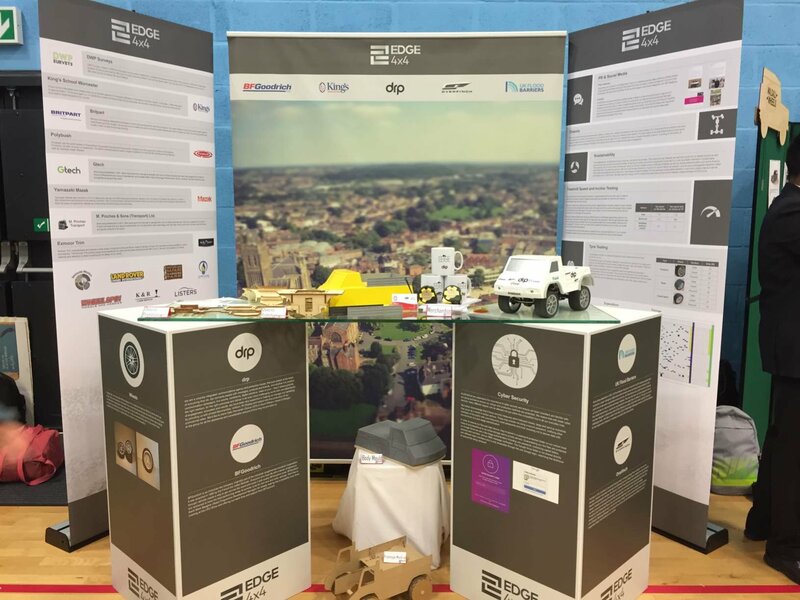 We’re ecstatic to continue supporting these young engineers. As you are aware,the preparations required for the World Finals are a huge undertaking! Any support that this truly amazing team can get would be greatly appreciated!